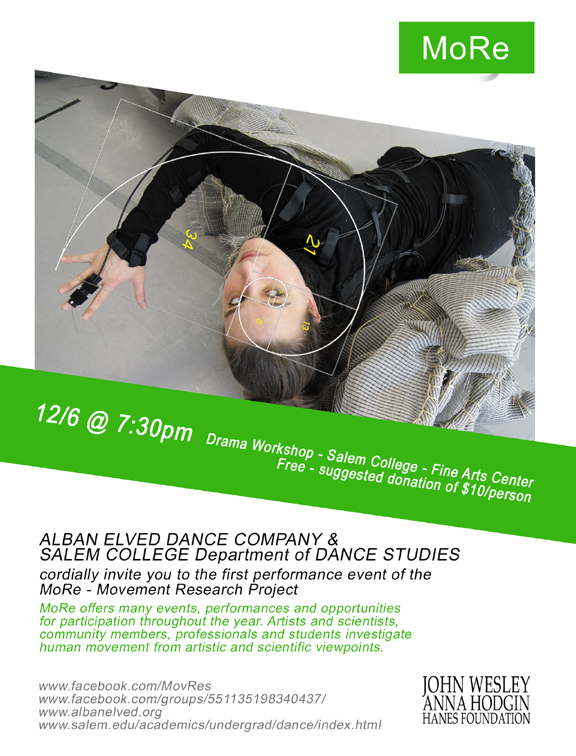 MoRe is a movement research project by Alban Elved Dance Company, Salem College, artists and scientists from international origins, community members and others. 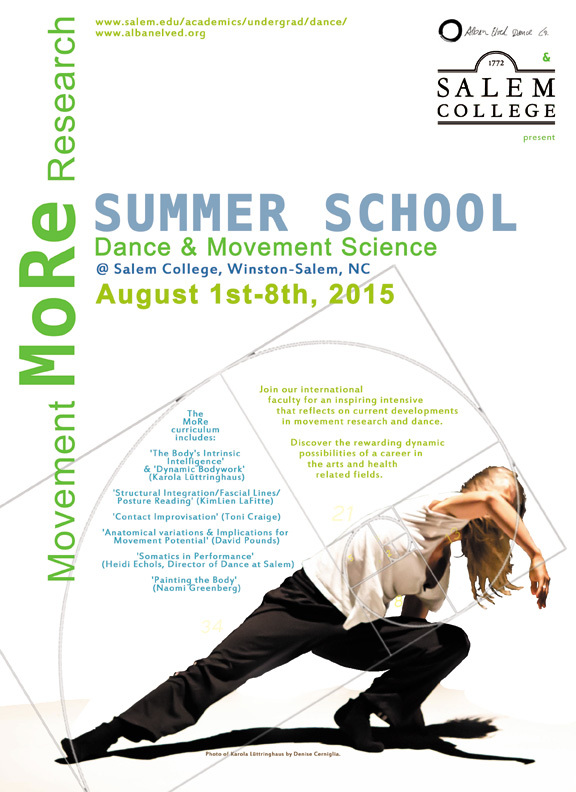 Together we investigate the intersections of movement arts and movement sciences. Alban Elved Dance Company and Karola Luettringhaus are incubating an interdisciplinary quarterly event series where artists and scientists, community members, professionals and students will get together for regular research sessions that lead to public performances, exhibitions, lectures, and more. Research periods are scheduled quarterly, with each session culminateing in public events to share our findings/creations (Decemebr, April). Outcomes from multiple sessions will then be used as starting points for the creation of a bi-annual festival of movement research, (first Movement Research Festival is planned to happen in April of 2016).